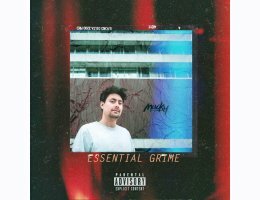 Introducing the first in Touch Loops' series of artist focused collections, Ladies Gentleman this is Mucky: Essential Grime. Influenced by the savage underground sounds of UK Grime, this stripped back collection of rolling grime samples showcases a producer at the forefront of this ground breaking genre. With Grime blowing up over the last few years thanks to artists likes Stormzy bringing the sound to the masses, now is the time to explore what this incredible genre is all about. Having been called upon by grime royalty Wiley & SEVDALIZA, Mucky has gone in deep providing you with everything you need to create the perfect grime selection, showcasing his epic arsenal of grime samples, loops and one shots. Tucked inside this system driving sample pack you'll find rolling trap influenced grime beats, brutal 808 sub samples, incredible live instrument loops, dub tinged flutes, brutal brass selections & huge synth arp loops. All beats have been broken down into top loops as well the full beat for maximum flexibility plus there's over 60 MIDI loops so you can get under the hood and see how the grime experts construct their lead & melody lines. Mucky has also included over 130 crushing one shots from kicks and snares to brutal bass hits and instrument stabs that are crying out for your sampler of choice. This one's big!